Since the introduction of Apple Pay, there has been a lot of media coverage on tap to pay forms of payment at brick and mortar merchants. And even though I use Google Wallet (on Android), the introduction of Apple Pay will entice more merchants to update their payment systems to accept NFC Tap and Pay payments. 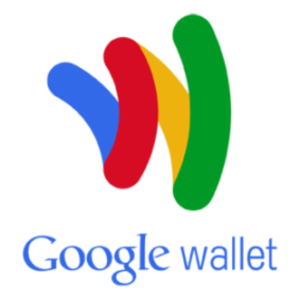 So as an Android user, I can benefit from Google Wallet. Macy's - My first chance to pay with Google Wallet. Though I can only confirm the Macy's in San Francisco accepted Tap and Pay, it should be a matter of time before all Macy's accept it. McDonalds - Second opportunity to pay with tap to pay. It was fast and easy and without any issues. Jack in the Box - I noticed they had the payment option, but their employees were not properly trained on how to accept this form of payment. Though I'm certain this issue with training is not applicable to all Jack in the Box locations, it shows Jack in the Box is in the process of updating to Tap and Pay. Panera Bread - This southern California brand had tap to pay, but I was unlucky enough to have the one cashier to not accept Tap and Pay. I hope that in the future, many more merchants begin to accept Tap and Pay, especially the merchants I regularly visit such as Lowes, Home Depot, and Safeway. Even better if when all merchants accept tap and pay, so that we can reduce the damage that occurs when corporations have security flaws that result in massive breaches in customer payment information.